But the router decides that it wants to mess with me and change 1 or 2 of them to something it decides, then I fix them again and then everything repeats to infinity. 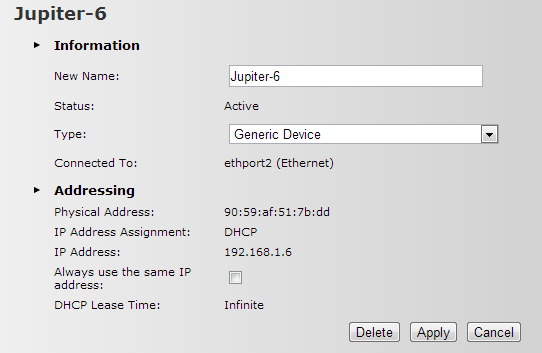 DHCP is not an option as the router gives out arbitrary addresses and I can't find a way to make it give out consecutive starting from a certain number. Since yesterday 6 of my machines have started to disappear from my local network all of a sudden and that happens too often now. When the problems happens the blinking light at the back of the router, where the switch is connected has gone off, yet the all 7 lights (6 miners + incoming cable) are ON on the switch. Until yesterday I wasn't sure what is the problem, but now I know: when I unplug the switch from the router and plug it back in = they re-appear back in the network. Additionally this morning my own PC reported network conflict: some other machine on the network got its IP too, which never happened. 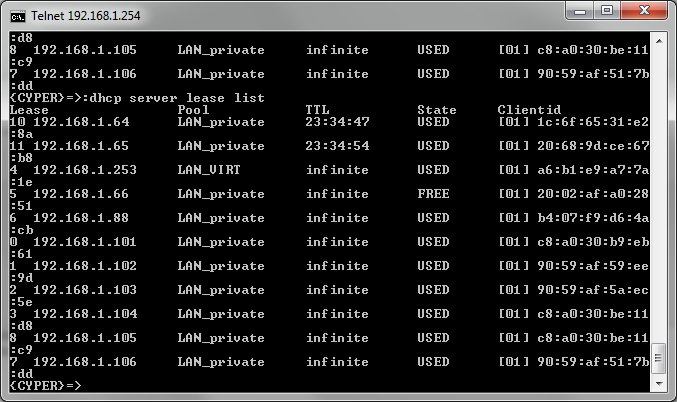 + I have setup the DHCP table manually. The 101 to 106 are the machines in question. Before it said state USED and now it is free, but they are visible. Do you have any experience with bad switches? Any ideas what is causing the issue? 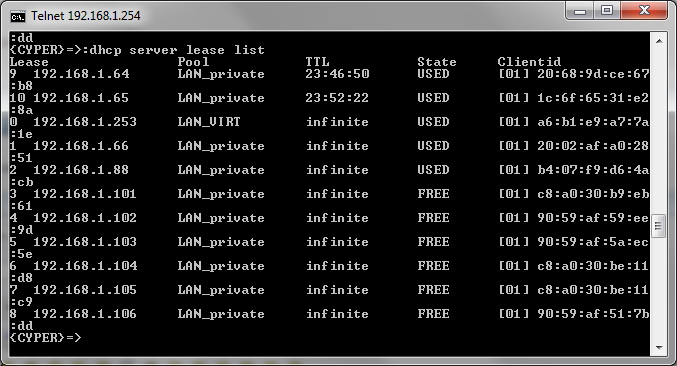 I have just applied DHCP settings at each machine and all of a suddent FREE changed to USED in the DHCP server list. That was probably the whole problem, but any idea why it happens? I had a similar problem with the 582. It would change addresses marked as static. One of the many reasons I got rid of it. How old is your router & switch? I have had a switch die on me before (the Gib ports decided they weren't) and the connection led's were off. Well mine doesn't change them or at least the only change I can see see is USED turning to FREE in the DHCP server table. 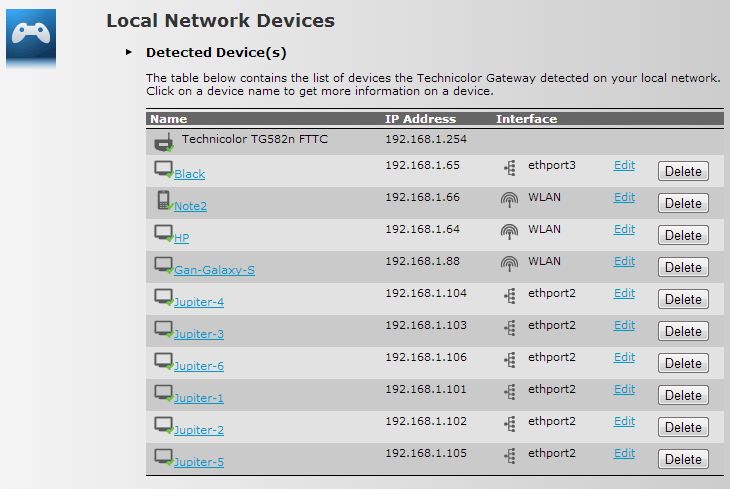 But when I open the router web page the IP addresses (101 to 106) are all there with machines marked as Inactive. The router is from June this year when I switched to Plusnet. The switch is 2 weeks old. At least now I know what the problem is and will monitor it. I wish there was an explanation of this behaviour. That's what you would expect if they've lost their DHCP lease. Have you tried connecting the switch to a different port on the router, just to eliminate the port as the problem ? 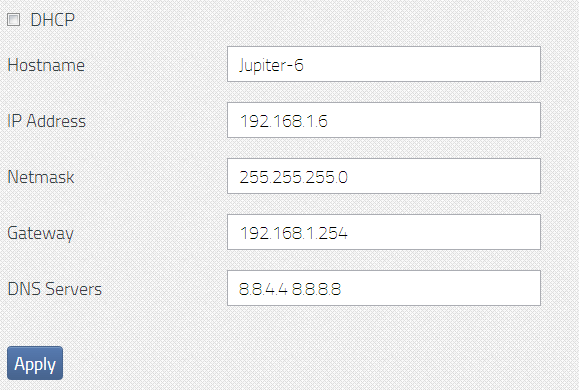 You can use static IPs on the PC itself without needing to configure the router. You don't have to configure the router, unless it's port forwarding and it's nice and easy. Last time it happened I switched from the last port to the 3rd one, but I also re-applied the DHCP settings at the machines, so not sure what helped. I think it was the latter. I am not a Linux guru, so no idea if there are supposed to be 3 lines. Anyone? These are the settings in the router and if I select "Always use the same IP address" it switched to 192.168.1.73 automatically. 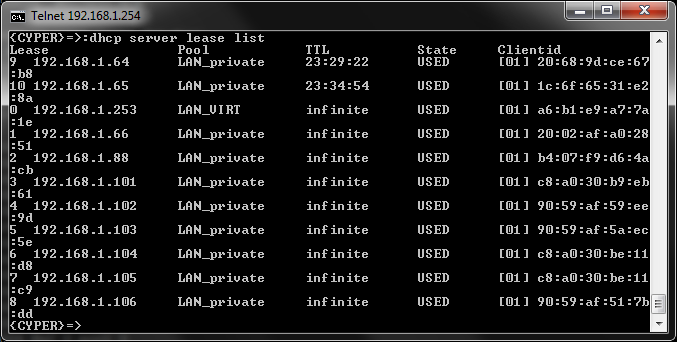 The other 5 machines are set up in the same manner and they are shown as having static IP addresses in the router. 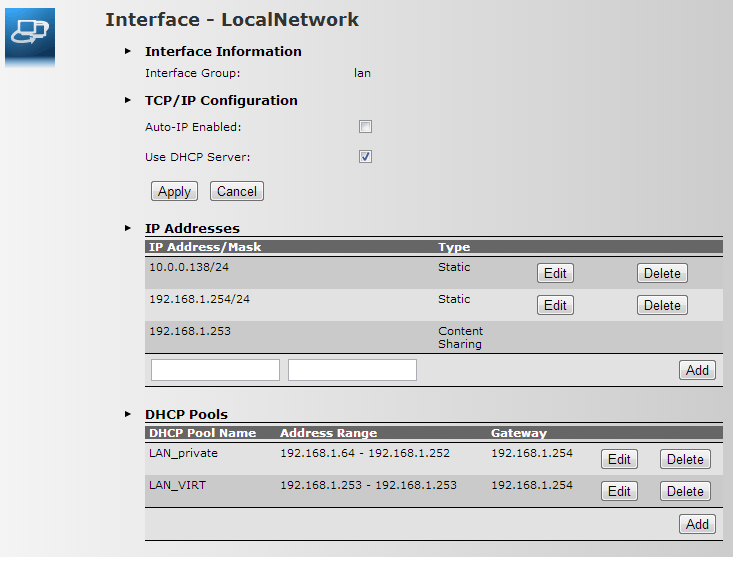 The IP range given to the machines is outside the DHCP range. Also last night all 6 machines decided to disappear from the network. They were set using DHCP by manually adding them to the DHCP table via Telnet. After this incident I set static addresses for them and still issues.